Google has just pushed an update for its Phone app — the stock dialer, which is used on its Pixel, Nexus, Android One, and Google Play Edition devices. Though, it should be noted that the update will be installed only on handsets that have Android 6 Marshmallow or above. 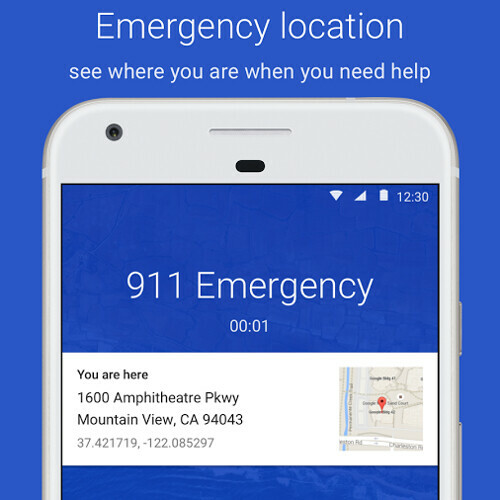 The new update has a very nifty feature for when you are in a jam — if you happen to be calling 911 (or 112 or, presumably, whatever the emergency number for your current country is), your phone will give you a very useful card, showing you your current location by address, coordinates, and also a Google Maps pin. After all, if you happen to witness a horrible road accident, your first reaction would be to call 911, not check Google Maps for your exact location. Good on Google for adding such a useful and potentially life-saving feature to improve coordination between emergency callers and staff. The irony is not lost on us that this update happens to come on the heels of OnePlus 5 users discovering that dialing 911 causes their own phones to crash. But does it reboot your phone? Wonder if google was trolling oneplus with this update. Lmao! Finally some useful feature and not some just random junk*ss nonesense like Google Bot Sh*t. I only hope it is well optimized and doesn't reboot the phone.